"plenty of unpredictable sounds and voices arranged over musics ranging from danceable to waltzy to classical. What binds these diversities all together is the intellectual humour." Many years ago, The ECC did "original" songs -- in other words, our music wasn't 100% stolen from others. 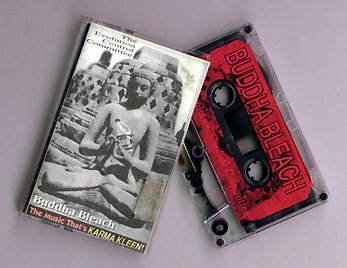 Buddha Bleach was one of the last such releases we did.